The only safari-planning map to Africa on the market, this essential travel tool includes key elements for planning a successful safari. 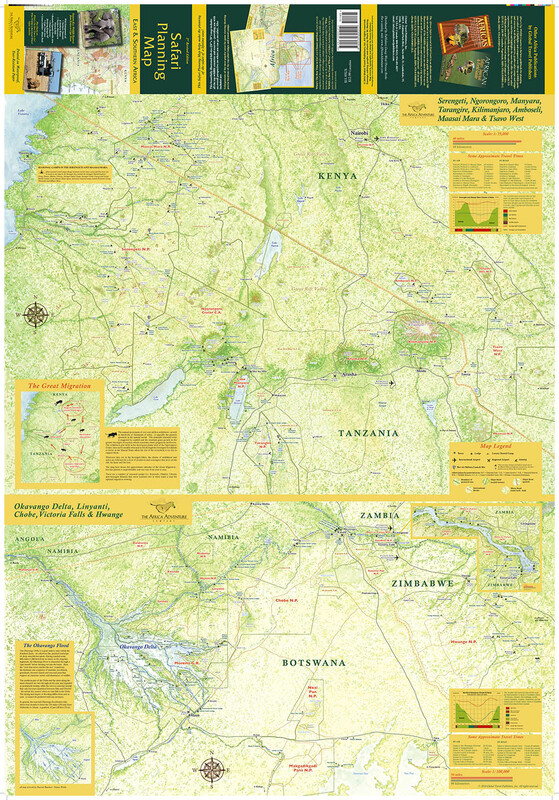 A work of art in itself, this large-scale color map includes all of the top safari countries and important wildlife reserves in East and Southern Africa – providing travelers with an overall perspective on where they can go on safari. 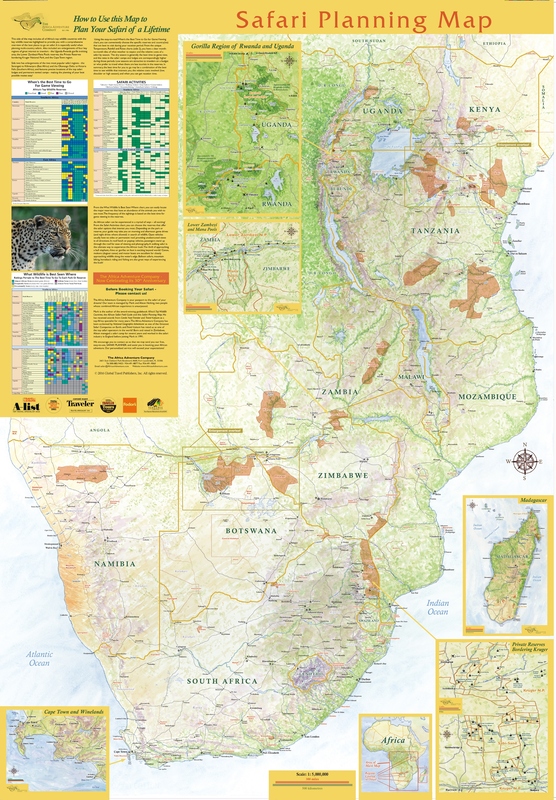 Emphasizing wildlife areas over road systems, which are irrelevant to most safari-goers this map is by the author of Africa's Top Wildlife Countries and the African Safari Field Guide. © Copyright 2008 - 2019 Global Travel Publishers. All Rights Reserved.